Christmas Countdown on Santa's Beard! 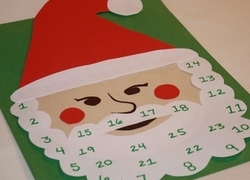 This countdown to Christmas craft is fun for kids who are excited for the holiday. Countdown to Christmas with this fun holiday activity.